Fresh Invest are proud to offer you this unique property investment opportunity in one of the most affluent areas of the North West. Waterside is a stunning high quality development of 14 high spec refurbished apartments, which will attract a high annual rental yield. These 14 high quality studio, 1 and 2 bed apartments are spread over two floors and will be fully refurbished by Christmas 2016. Runcorn shares close links to a number of cities in the North West. With a new bridge under construction to increase it’s connections, Runcorn is on the up! A town undergoing large scale regeneration presently. A new bridge connecting Runcorn with Liverpool is under construction, due to bring increased growth to the area. £2.3m mixed use scheme under construction just 200 metres away from Waterside. A commuter town to Liverpool and Manchester. Runcorn train station to Liverpool Lime Street, just 20 minutes! 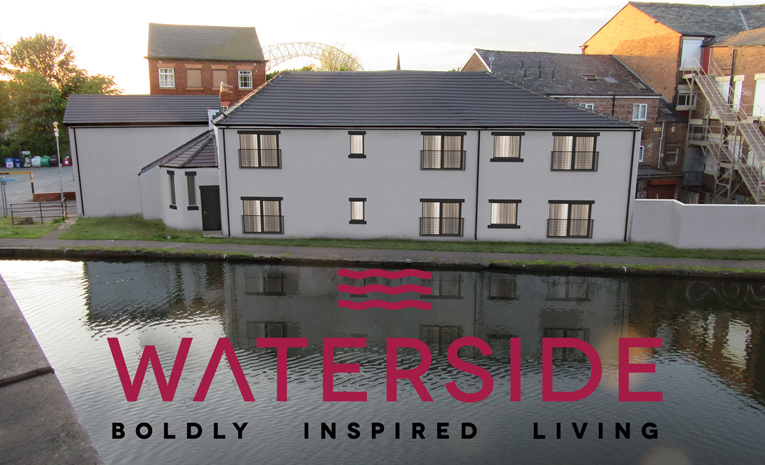 Waterside represents a great opportunity for our clients to purchase a hands off property investment, finished to the highest standard and very much in demand in the local market place. Our research has shown us that agents are confident that all apartments will be tenanted prior to completion. Located on the High Street, the development has many amenities right on it’s doorstep. With this, there are new mixed use schemes popping up all the time in the immediate surrounding area which make this development perfectly located for high and consistent returns. Waterside is in an attractive spot, close to a lot of the local amenities as well as useful transport links for getting around Runcorn and going further afield. Tenant demand is strong and we have let many similar units at similar prices. Colliers International estimates total property investment transactions in the North West of England have risen in value by more than 84 per cent in the first quarter of 2015 – the biggest increase for any region outside of London.